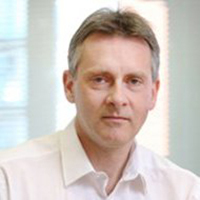 Andy Smale works for KCOM as the Principal Consultant for their transport sector. He has a PhD in Artificial Intelligence and is a Certified Neo4j Architect as well as Graph Evangelist. KCOM is designing and delivering major systems for the Rail Delivery Group (RDG), which is responsible for Rail Ticketing and Settlement in the UK.